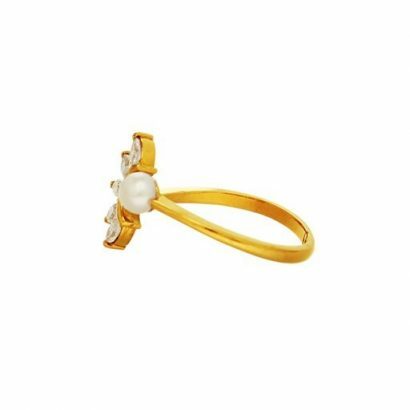 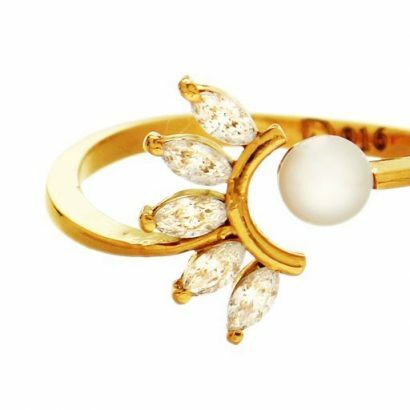 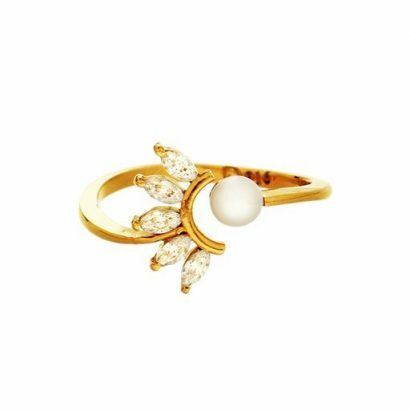 A 22 karat golden ring crafted in fine detail reflecting the delicate and fragile nature of the flower and nature it represents. The petals are crafted in sparkling stones that add glamour to the piece. Feminine and fashionable creation in Swarovski crystals and pearls.